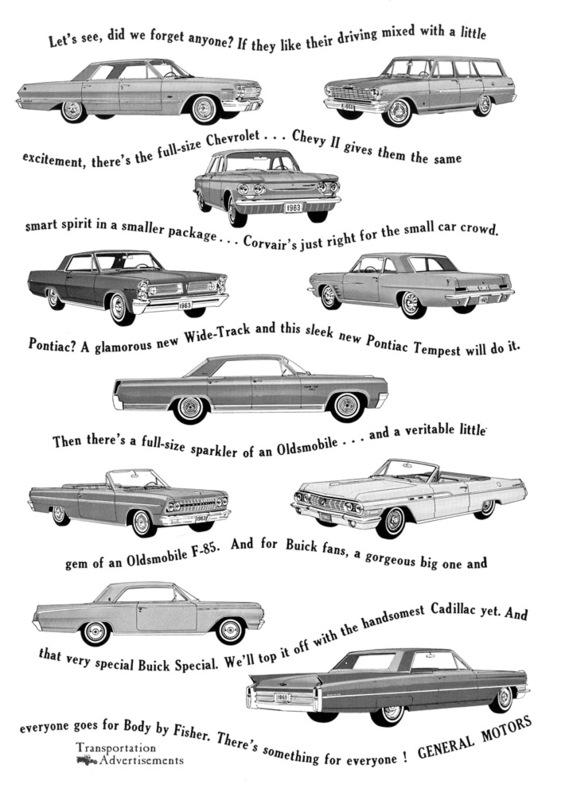 There’s “something extra” for everyone in a 1963 Oldsmobile! Stunning new styling! Spirited V-8 performance~ the luxury of the Ninety-Eight! The savings ways of the F-85~ The excitement of striking new sports cars! That extra measure of famous Oldsmobile reliability! 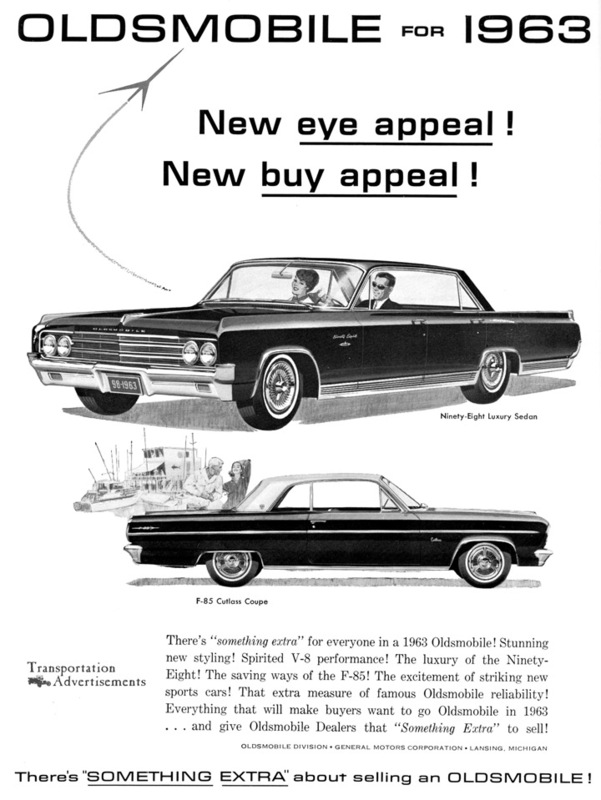 Everything that will make buyers want to go Oldsmobile in 1963 … and give Oldsmobile Dealers that “Something Extra” to sell! There’s “Something Extra” about selling an Oldsmobile! Transportation Advertisements is powered by	WordPress 5.0.4 and delivered to you in 0.455 seconds using 33 queries.